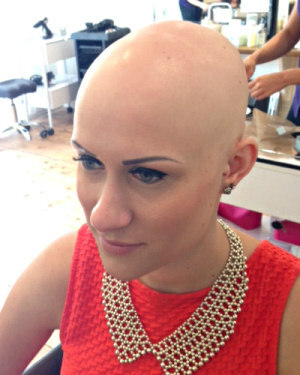 Alopecia Areata most commonly affects younger women and children. The condition is due to an auto-immune response, where the body forms white cells that attack the hair follicles which produce hair. It causes hair growth to stop, and the follicle enters a resting phase of its cycle which leads to hair loss. Most cases of AA are characterised by a shiny patch of scalp that becomes visible through the hair and feels silky smooth. Hair loss from AA can be sudden, developing in just a few days which can be very difficult to adapt to emotionally. Clients who have patches of hair loss from Alopecia Areata are suitable for our Intralace System. Our client Francesca first came to see us with AA in July 2011 and used the Intralace System to conceal her patches of hair loss. Francesca’s hair completely grew back underneath the Intralace System so she had her System removed at the beginning of 2012. She then contacted us in 2015 as she had started to lose her hair again and is currently using the Intralace System to help manage her hair loss. 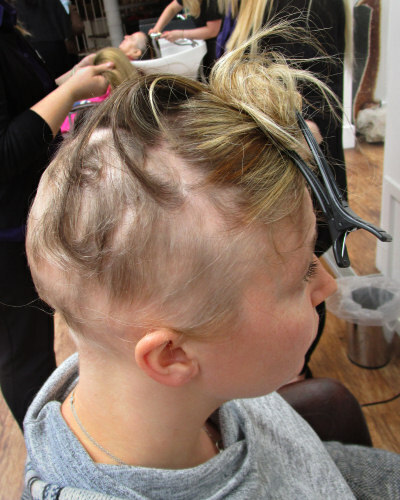 Alopecia Areata is a very unpredictable type of hair loss. For some clients one or two patches may develop and then the hair fully grows back. In other cases clients can experience rapid hair loss which can sometimes result in total hair loss. The hair will sometimes grow back but it may then fall out again. Many people will need to manage Alopecia Areata for a number of years. 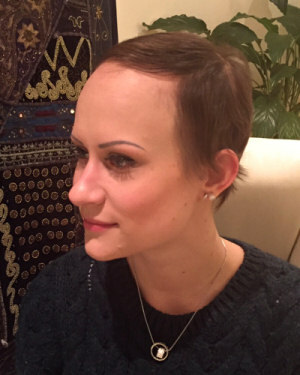 Our client Imogen experienced total hair loss from Alopecia Areata and she chose to use the Intralace System to conceal her hair loss. Imogen's own natural hair has now successfully regrown underneath the Intralace System. ‘This is an autoimmune condition in which the immune cells in the body attack the growing hair, causing it to fall out. It may affect any hair at any site and sometimes runs in families. We do not know fully what triggers this condition which can be very distressing and for which there is currently no cure.